Due to unforeseen circumstances beyond the GLRE & the Phoenix Offroad Park’s control we are being forced to change the date of Havoc 4. The new date is Sept 22-25th. If you already have booked your hotel rooms for Havoc you will need to contact the Holiday Inn and update the reservation. We apologize for any inconveniences this may cause and please contact us if you have any concerns with the change. 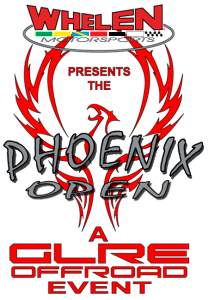 Registration for the Phoenix Open is Up! Posted in: Event, Home Page. Registration for the Phoenix Open is Up! Register Today! 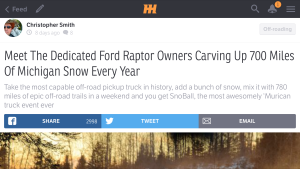 Check out CarThrottle.com’s story about the 2016 SnoBall!